Baby's Journey Home: Baby...an official introduction!! I got this great shot printed at my last OB appointment. I figured it was time to actually show off our handsome little man! 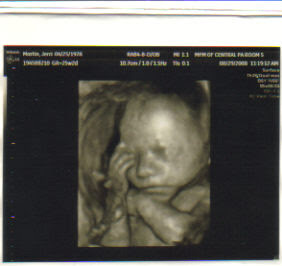 This ultrasound was done at 26 weeks and 2 days! Aww, how sweet! I know you are so excited! He is very cute! I love those ultrasound pictures!